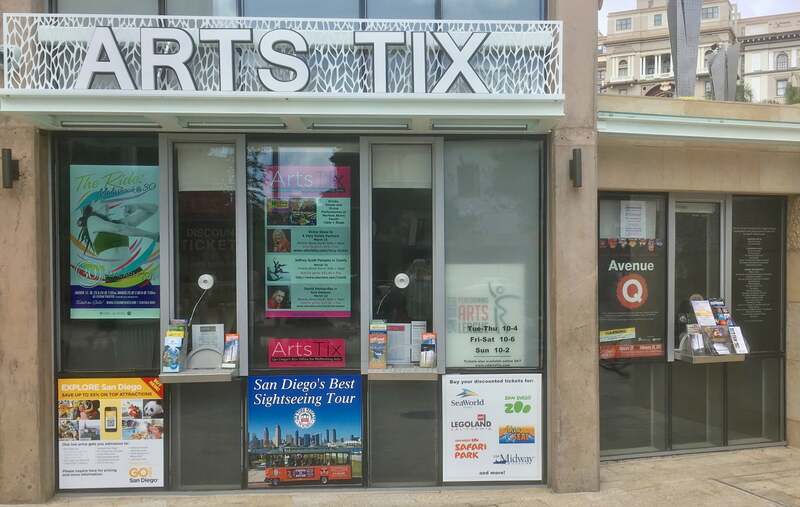 Advertise at the ArtsTix Ticket Center and reach your share of the 10 million annual visitors to San Diego's Gaslamp Quarter. 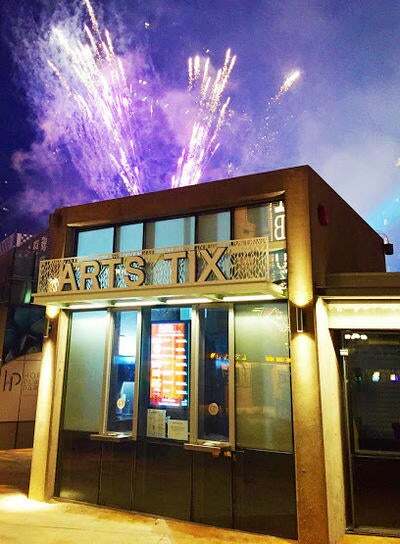 Located at the intersection of San Diego’s historic Gaslamp Quarter, the Civic Center, and Horton Plaza Park since 1985, ArtsTix provides a place for tourists and locals to find discount admissions to performing arts programming and tourist attractions throughout San Diego. ArtsTix is one of three programs sponsored by the San Diego Performing Arts League, the others are Theatre Week — a celebration of San Diego theatre each February — and The Star Awards — a way for arts organizations to show love to their most important assets: volunteers. ArtsTix has added an olde timey option for advertisers -- and the price is old school too! For a low, low price we will display Actual Posters in Window Three at the ArtsTix Ticket Center. Because this is the olde timey option, you must follow the old school rules: call us (at 858-437-9850) to reserve your space, create an actual poster (our window is 24" tall and 10" wide), bring it to ArtsTix with an actual bank draft (sometimes known as a check) payable to San Diego Performing Arts League. Now for the best part! The inaugural special for advertising on Window Three is $50 for the run of your show! ArtsTix operates two 47” HiDef monitors that display information and ads about attractions, performing arts, local nightlife, dining and activities. Digital Posters run 15 times per hour (for 15-seconds), every hour from 7:00 a.m. to Midnight, seven days a week. These monitors are seen by locals, shoppers, tourists and other visitors — 10 million people a year. Source: Gaslamp Quarter Association. We limit the number of ads run to eight Digital Posters per month. View our Playlist here. If a picture is worth a thousand words, and actions speak louder than words, What would you call a 30-Second Video Ad with words, pictures and video? A great advertising opportunity! We sandwich a HiDef video between top- and bottom-images that show information, maps and/or a call to action, and call it a 30-Second Video Ad. We offer ten 30-second runs per hour, 7:00 a.m. to midnight, seven days a week, and we limit the number of 30-Second Video Ads to five per month. View our Playlist here. The ArtsTix Ticket Centrer with a Digital Ad (Malashock Dance, left), a Video Ad (center) and an Actual Poster (Avenue Q in Window Three, right).